Vehicles like the gas powered Stampede 900 will now be sold under the Textron Off Road brand instead of Bad Boy Off Road. Textron Specialized Vehicles recently announced the rebranding of their Bad Boy Off Road brand of vehicles to Textron Off Road. The rebranding is designed to take advantage of Textron’s association with strong engineering and manufacturing through their long established brands in aerospace, defense and automotive such as Bell Helicopter, Cessna, Beechcraft, Lycoming and Cushman. 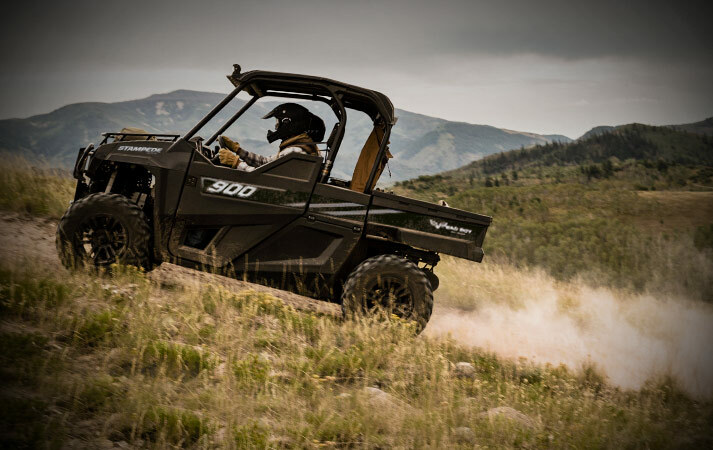 The Textron Off Road brand of side-by-sides currently features the gas powered Stampede and Stampede XTR, the all-electric Recoil, Recoil iS and Recoil iS Crew and the hybrid Ambush iS. The rebranding makes sense for Textron for a number of reasons. The Bad Boy name is fairly well known in the hunting segment of the utility vehicle market, but this is more of a niche market, and before being acquired in 2010 by Textron there were some quality issues associated with the brand. In 2016 Textron rebranded Bad Boy Buggies to Bad Boy Off Road so there has not been a lot of time to build brand value, and thus not as much to lose in rebranding at this time. While the Textron brand may not be as well known in the utility vehicle market, the company’s collection of more well known manufacturing brands generates higher brand awareness in general. 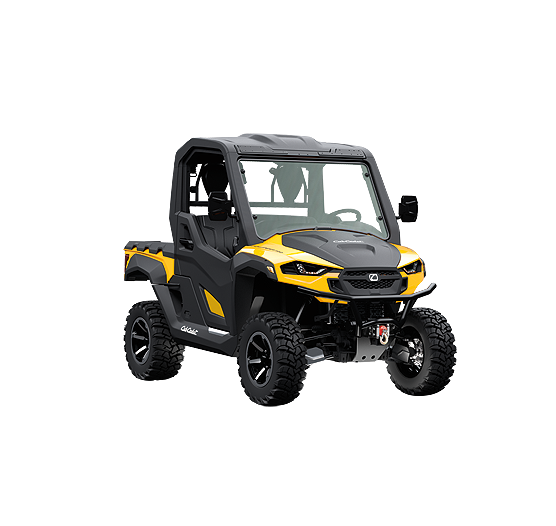 In addition, utility vehicles from Cushman and E-Z-GO fall under the Textron umbrella and certainly are known in commercial UTV segments and, by association, Textron has some awareness there as well. A bigger question than whether rebranding is good for business, is how the Textron Off Road product lines integrate with recently acquired Arctic Cat products. While their distribution networks are more likely complimentary than duplicative, the question is how their individual vehicles fit together. Textron Off Road’s electric UTVs are a nice compliment to Arctic Cat’s gas powered vehicles, but how does their Stampede line of UTVs fit with Arctic Cat’s Prowler, HDX and Wild Cat vehicles. If you look at a comparison between the Stampede 900 EPS, Arctic Cat HDX 700 XT EPS and the Arctic Cat Prowler 1000 XT EPS, they have similar price points and features and specifications. One could imagine the Stampede line could be turned into more of a value-oriented brand with lower price points. Value UTVs have become a competitive segment of the market as better quality imported brands and lower priced offerings from established brands target value consumers. However, Stampede’s initial marketing campaigns have been aiming higher than value-oriented customers. Another option might be to target specific market sub-segments, perhaps, in conjunction with geographic targeting based on the Stampede’s distribution network. The greater the differentiation between the various Textron brands, the better chance Textron has of convincing dealers to carry several Textron UTV brands, and of leveraging the distribution channels of their different brands. 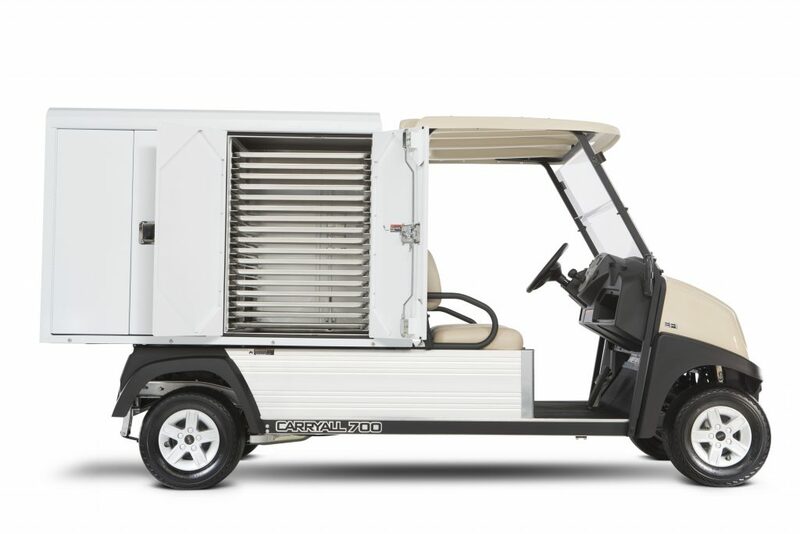 The Carryall 500 Facilities-Engineering Vehicle is one of the pre-configured Fit-to-Task vehicles being offered by Club Car. 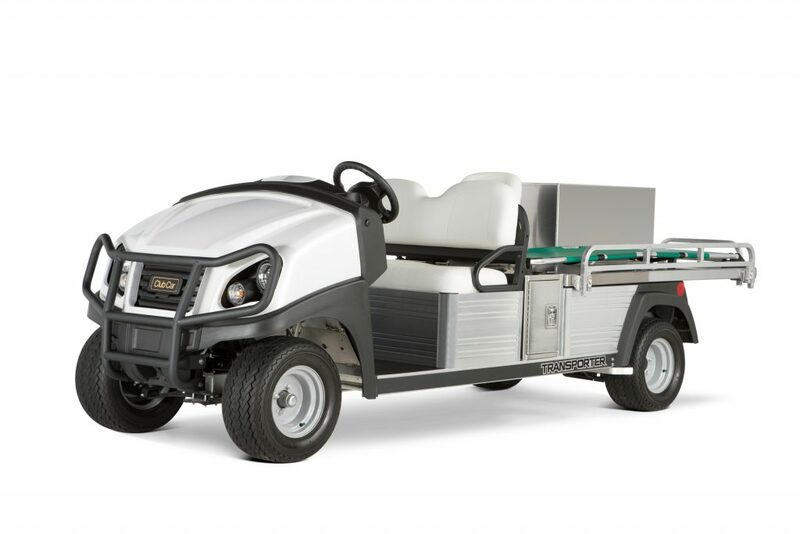 Club Car recently launched their new Fit-to-Task series of vehicles for the commercial/work segment of the utility vehicle market. The series of vehicles offers customers application specific vehicles already equipped with accessories and options designed for a particular application. Carryall 500 Facilities-Engineering Vehicle with dual locking tool boxes, a dual ladder rack with tie-downs and a 2″ receiver. Carryall 700 Food Service Vehicle with a van box, 68-tray rack system, a 10-shelf rack system, glass racks and drip edges. Carryall 700 Housekeeping Vehicle with an L-shaped van box with interior LED lights and locking doors, drawers, shelves for towels, linens, etc and room for a full-sized vacuum cleaner, mops, brooms and other supplies. Transporter Ambulance with hand-carry stretcher and mounts, fold-down rail for patient area, storage boxes and seating for three. These vehicles continue Club Car’s focus on the commercial and work market segments. Over the last few years as the market for fleet golf cars has declined and stagnated, E-Z-GO and Club Car have had to look for new avenues of growth. Textron (E-Z-GO) has chosen to expand their portfolio of small vehicles to reach new markets as evidenced by their recent acquisition of Arctic Cat. Club Car has chosen to further penetrate commercial and work segments in which they already had a strong presence. 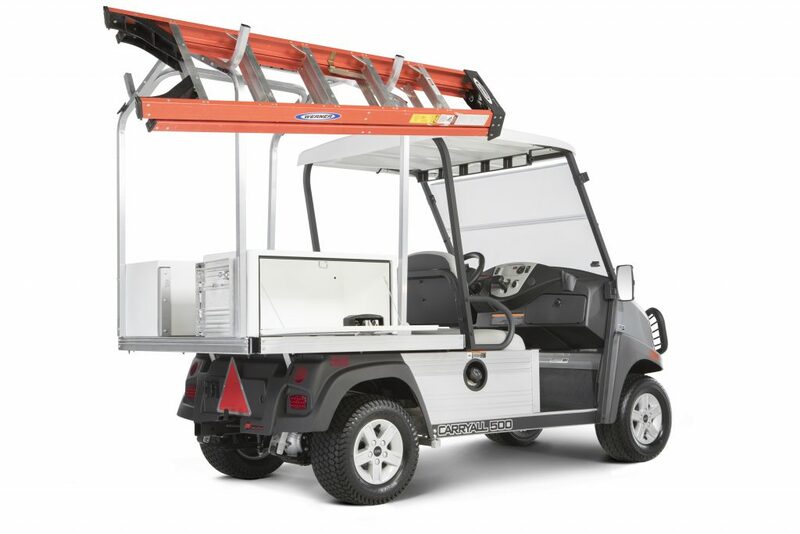 Over the past several years Club Car launched new base vehicles like the Carryall 500 and 700, a UTV support team program for rental customers, their Corporate Solution Program for fleet management and maintenance, and utility vehicle accessory packages. In their marketing material they are touting their diverse commercial vehicle offerings and expertise in fleet management of small, electric vehicles. As evidenced by some of the Fit-to-Task vehicles and their website, Club Car is focusing on specific market verticals such as education, government, rentals and resorts. Demonstrating the global nature of the small, task-oriented vehicle market in terms of both product and marketing approaches, Tata Motors earlier this year announced a series of application specific variants of their ACE mini-truck. 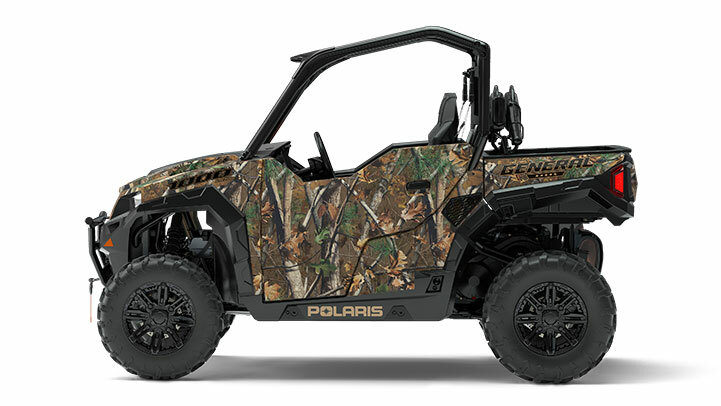 The model year 2017 is the General 1000 EPS Hunter Edition in Polaris Pursuit Camo is one of the vehicles involved in the recall. Relative to more recent Polaris recalls this one is not that large, but compared to more typical recalls in the industry that involve a few thousand vehicles, this is a large recall. The recall does include RZR 900, 1000 and RZR Turbo models that have previously been recalled. The GENERAL 1000 being involved in a recall is a new development. Based on recent quarterly earnings calls with Wall Street analysts, the management has put a lot of money and manpower into fixing the underlying product development issues that lead to their recent massive RZR and Ranger recalls. The origin of the issues for this latest recall probably pre-date these efforts, but management is likely disappointed with this development as they have been trying to put these recalls behind them and repair damage to the Polaris brand. A recent report from BMO Capital Markets states that the recall is considered a ‘non-event’ by dealers who are having strong start to the year and think the recall will only have a ‘minimal impact’. Description: This recall involves model year 2016 and 2017 RZR 900, 1000, Turbo and GENERAL 1000 recreational off-road vehicles (ROVs). “Polaris” is printed on the front grill and “RZR” or “GENERAL” is printed on the side of the rear cargo area. The ROVs were sold in various colors. Visit the CPSC website see a complete list of the models involve. 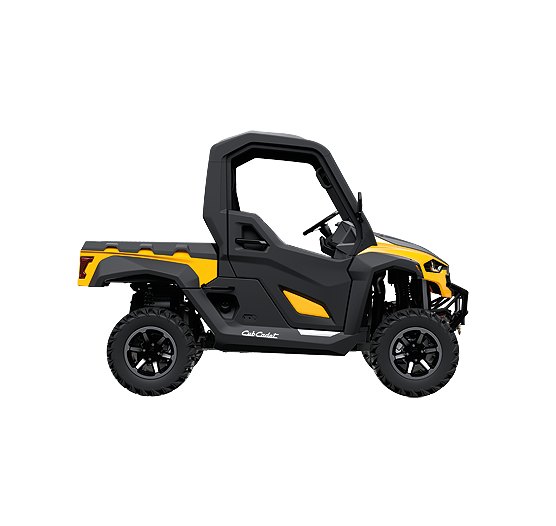 Cub Cadet has launched the Challenger 550 and Challenger 750 utility vehicles as they continue to expand the Challenger product line, which already includes the 400, 400 LX, 500, 700 and 750 Crew. The new models continue Cub Cadet’s theme of providing a value oriented offering with a solid set of standard features. The Challenger 550/750 comes standard with what is essentially a partially enclosed cab with high-sided sealed doors, standard roof and sealed ROPS. Optional upper doors and a rear window are available to create a completely weather-sealed cab. The interior cab design features interior and exterior door handles, a tilting steering wheel, open storage, closed glove box and premium sculpted seats. The new models are designed for customization with a front accessory mounting panel above the windshield and a rear mounting rack. The cargo bed has integrated attachment points or “T” slots for purpose built accessories. The vertical slots accept standard ¾-inch plywood for partitions and slots on top of the side rails to accommodate standard 1 x 3-inch furring strips. A quick comparison between the Challenger 750 and 700 shows that the 750 has a more powerful engine, larger capacity cargo box by 150 lbs., improved doors and windshield, LED rather than halogen headlights, slightly more ground clearance and a better drivetrain. The differences between the Challenger 550 and 500 are similar.